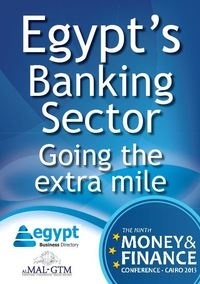 “Egypt’s banking sector is the backbone of its economy” – the panel at the 9th Money & Finance Conference explains why. The 9th Annual Money and Finance Conference (MF2013), organized by economic thinktank AL¬MAL-GTM, took place from the 31st of Septem¬ber to the 1st of October 2013, bringing experts of various fields and sectors together in order to discuss and lay out Egypt’s economic future. One of the panels was all about Egypt’s banking sector, where seven top banking executives shared their visions on the economic future of Egypt. Download the report to gain access to some of the discussed challenges and recommendations that were tackled in what was called “Egypt’s economic event of the year”.